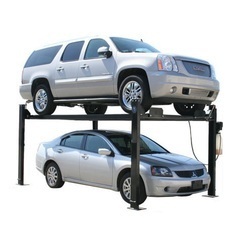 The SL4000 Two Column Lift offers an excellent above-ground auto lift for any shop size. Designed for low clearance ceilings on the light-duty level. Features heavy-duty lifting chains that are raised by two hydraulic cylinders, mechanical safety latches, adjustable lift pads and a wide base to keep you supported for year of work. The broad range of two post hydraulic lifts catered by us is of premium quality and is available at optimum prices. With the assistance of our experts and engineers, we are able to custom design the range of two post hydraulic lifts as per the specifications of the clients. Candour Auto Tech is the biggest Dealer of Launch Products in India. 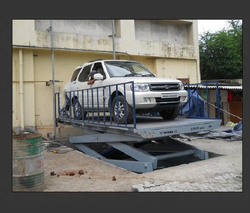 Keeping in the mind ever-evolving requirements of our respected clients, we are offering a premium quality array of Hydraulic Parking Lift. Two Post Parking Lift Model KI 2117. It is the most technically advanced lift on the market today.